The uphill cycling routes “Grandi salite” of the Distretto Turistico dei Laghi area in 6 special episodes on Bike Channel! The local agency Distretto Turistico dei Laghi commissioned Bike Channel (Sky Chanel 214) the realisation- during 2015 and 2016 – of 6 episodes of the program “LE GRANDI SALITE”. Bike Channel episodes are a great opportunity to discover the main bike routes within VCO province and it is also a chance to show the beautiful landscapes of our lakes and mountains. Bike Channel is the first Sky channel entirely dedicated to bikes. It shows how fun, attractive and perfect sport cycling is. Furthermore, it is the Italian benchmark of all bike amateurs, cycle tourists or simply bike users. Each episode, which lasts more or less 1 hour, is broadcast several times on Bike Channel (first episode and further replay): broadcasting schedule is published on our facebook page: www.facebook.com/distrettolaghi. 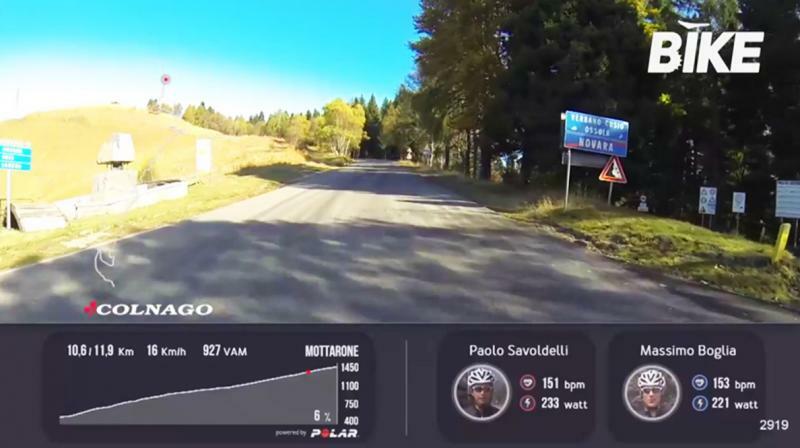 Bike Channel’s troupe and testers (in which there are two famous cyclists such as Paolo Svoldelli and Massimo Boglia) are always flanked by local professional cyclists: Paolo Longo Borghini and Gianmario Rovaletti.